Sprinklers Only offers landscaping services in addition to sprinkler system support. 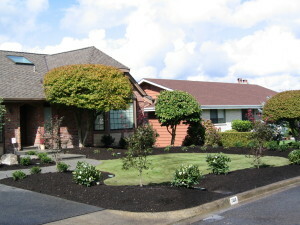 Our professionals create breathtaking landscaping solutions for many clients everyday. We believe in designing landscapes that use plants, trees, shrubs, and groundcover that fit each client’s unique needs. Our landscaping experts can help your landscaping dreams come true. We can build landscapes that answer unique design requirements such as privacy, ease-of-maintenance, or enhancing a breathtaking view. There are no limits to what Sprinklers Only can create for you!